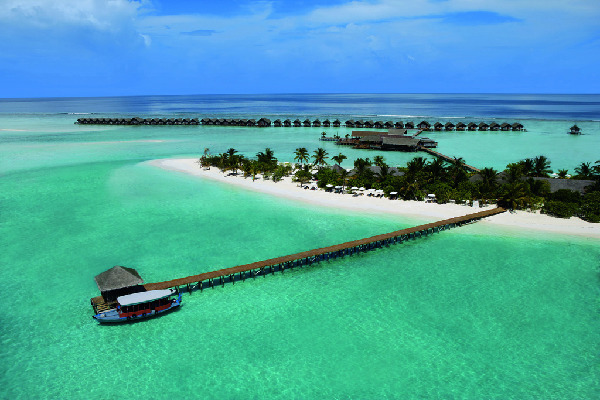 When you think of the Maldives, chances are you envisage a honeymooning couple walking hand-in-hand along a pristine beach – there’s perfect white sand, the water is the most amazing azure hue and the loved-up twosome is heading towards one of the gloriously luxurious over-water bungalows. Parents of young kids may sigh, either remembering their own romantic getaway to this amazing paradise if they’ve been lucky enough, or begrudgingly admitting that such a place is not in their immediate future while they have a young family. Well, think again. The Maldives, possibly the most heavenly place on earth, has opened its arms to families, with many amazing resorts now showing a real focus on providing child-friendly services. One such resort is the Diva Maldives. You only have to look at these photos to see it is truly something special, with the location and accommodation second to none. 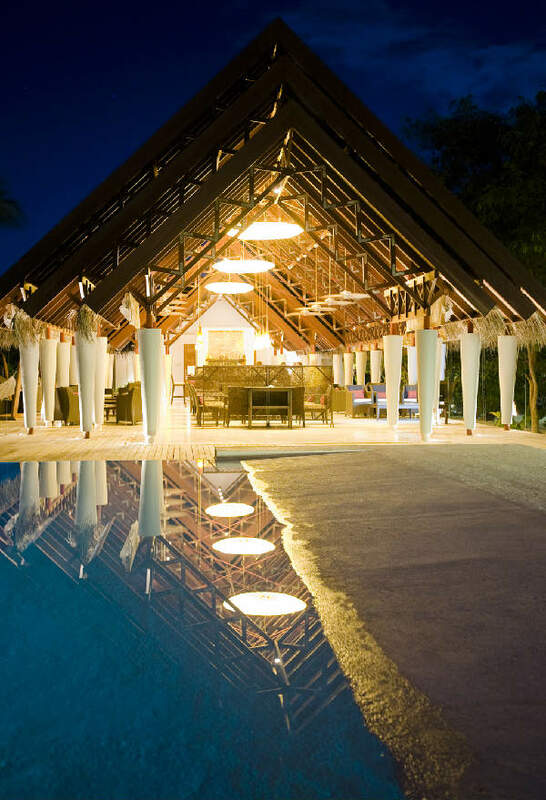 The resort has won three international awards – The World’s Most Luxurious Getaway for Hideaways magazine (the prestigious German travel magazine), the Best Hotel in the Indian Ocean on Conde Nast Traveler’s Hot List 2009, and the Hideaways Award of the Year 2008. That’s some recognition! Diva is part of the renowned Naiade group, and it’s a twenty-five minute seaplane flight from Male on one of the largest islands in the Maldives, Dhidhoofinolhu. Situated on four kilometres of sandy white beaches, it boasts exceptional restaurants, a day spa, a water sports centre and… drum roll, please… an amazing kids and teens club. 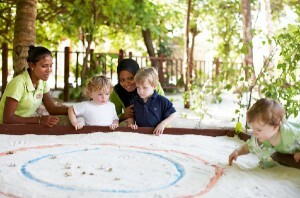 The kids club is called The Nest, and is open from 10am to 10pm for children from three years of age to twelve. And this isn’t just any run-of-the-mill kids club – activities include pizza making and even waterskiing lessons with a qualified instructor on a still lagoon. There’s an outdoor play area, library, cinema, dining room and Siesta lounge for when your little VIP needs a nap to recover from all the fun. After-hours babysitters are also available for an extra charge. Now for the “cool” teens, there’s The Place – it’s also open from 10am to 10pm and is for thirteen to nineteen-year-olds. Here’s the place to be for Internet access, a Wii station, PlayStation, table football and table tennis. Then, once the day turns into night there’s the Musik nightclub, where they can dance till their hearts are content to live music and a DJ. Now the kids are taken care of – it’s time for the adults to have some fun. In such blissful surrounds, you can lie back and soak up the sun with your most pressing concern being when to take your next dip. If you’re keen on spending more time in the water you’ll be pleased to hear that Diva has one of the most comprehensive water sports centres in the Maldives. 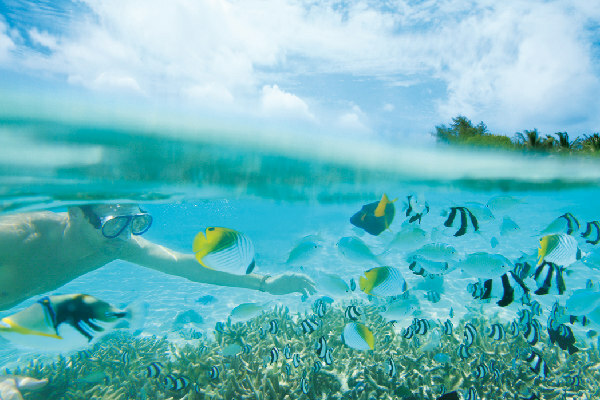 You’ll be front row to some of the best diving spots on offer or you can choose to snorkel if you prefer to stay closer to the surface. If you’re keen to stay well and truly above H2O there’s also catamaran sailing, windsurfing, pedal boats, kayaking and water skiing. Of course, there’s also less energetic fun – the day spa. 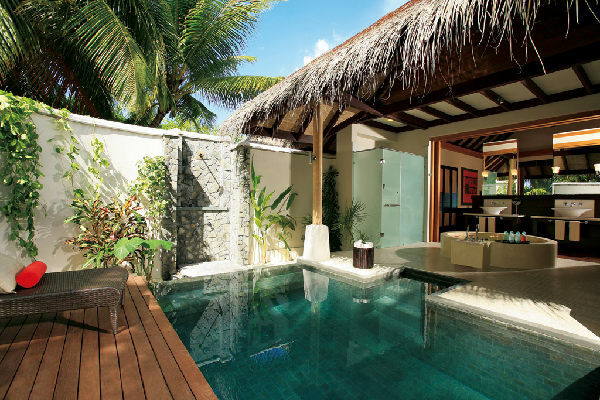 This has to be seen to be believed – Infinity spa looks like a Garden of Eden and consists of fifteen treatment villas. Eleven are in the spa garden while there are four treatments villas over the water, you can actually have a massage while taking in the views of the marine life through the glass bottoms floors! On arrival you’ll be treated to a welcome ritual where your feet are bathed, then you can ease yourself into your treatment by going to the thermal suite where you’ll experience the steam room, followed by the ice room and the sauna. There is also a communal relaxation area where you can have a sauna, steam, hot tub and cold plunge. After this, your muscles should be well and truly relaxed, and ready for your chosen treatment. And as for the food, you could stay at Diva for months and never get bored. There are six restaurants and six bars – enjoy grilled lobster or a light lunch at the daytime beach restaurant called Season. While at night, take your pick: Senses restaurant leads onto an infinity pool and has North African, Lebanese, Indian and Indian Ocean cuisine. Then there are two restaurants, Pure and East, that stand on stilts over the water. Pure has Japanese-style open cooking, while East offers Cambodian, Indonesian, Thai, Sri Lankan, Hong Kong and Chinese dishes. Then there’s the traditional Italian restaurant Allegria, and Noo, which offers international dishes. If you’re still hungry after all this, there’s also twenty-four hour room service. There’s a wide range of accommodation – water villas, junior suites and beach pool villas, but the accommodation especially designed with families in mind are the fifteen beach villas. These have interconnecting rooms with direct access to the beach and the outdoor shower ensures no tiny sandy footprints are walked through your living areas. Now, with all this going for it, enough fantasising… it’s time to put yourself in that dreamy beach walk picture.